Art is a phenomenon by which we can convey essential messages to the community as artists can convey their messages through the creation of visual media and exhibitions to the people to raise the awareness level of the people and create changes in their daily lives so they can go forward. 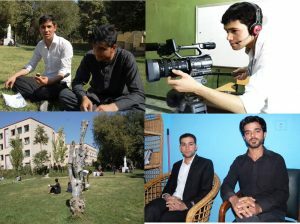 Fine Arts Faculty of Kabul University, which had faced with lots of problems due to continued war in the country, has been fortunately able to find its position during the past one decade. The faculty that is one of key faculties of Kabul University, was established in 1966. The faculty is considered now as one of the most important centers and great artistic academic institution in the country. It has the responsibility to train qualified artists to participate in promotion and development programs of the country. Pointing to festivals and exhibitions held by fine arts faculty every year, he said that the faculty held various festivals and art exhibitions inside and outside of the country, adding that six national theatre festivals have been held so far by the initiative of Goetta Institute and fine arts faculty with cooperation of cultural centers in the United States, the United Kingdom and France. “Last year, we had a theatrical show in India. This year, a short film produced by students of fine arts faculty was showed in Tajikistan as one of our students’ film ‘Deedar’ was nominated at one of international festivals in the respective country, showing works of the faculty’s students,” Prof. Farhad added. Dean of the faculty further said that the faculty was trying to expand its relations with fine arts faculties in the region so that most of art works and short theatrical shows or films of the faculty’s students would be nominated in festivals, international programs and exhibitions. 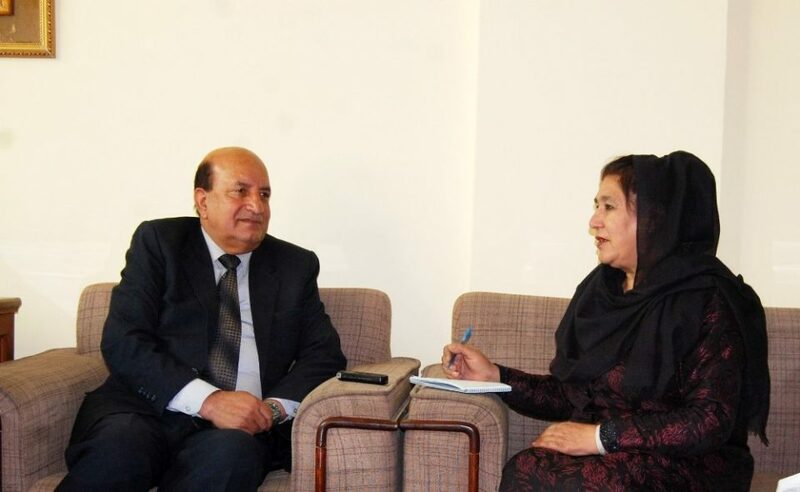 He added that for further improvement of art works in the country, the fine arts faculty of Kabul University has introduced master degree to students interested in getting further higher education in art fields, saying that the faculty was also planning to introduce PhD degree to students and those who would like to get their PhD in fine arts inside the country. It is worth mentioning that fine arts faculty of Kabul University with its eight departments such as theater, cinema, music, mocking literature, sculpture, painting, graphic designing and playwright and screenwriting has now more than 8,000 students.